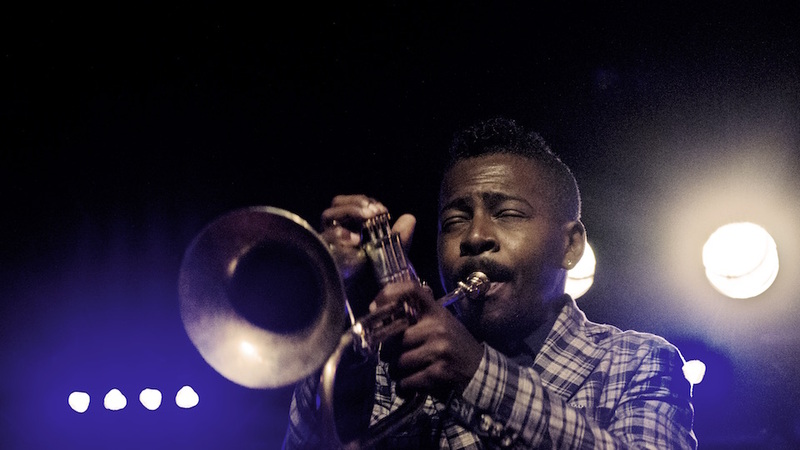 Over the last three decades, trumpet titan Roy Hargrove became such a core component of the modern jazz scene it was almost possible to take him for granted. Every time you turned around, he was involved in a new project that showed off another side of his musical personality, whether he was bouncing his ideas off of legends like Herbie Hancock and Michael Brecker (the Directions in Music ensemble), kicking up a funky fusion of jazz, R&B, and hip-hop with his side band The RH Factor, or backing everybody from Roy Haynes to Erykah Badu. But when his sounds were stilled unexpectedly on November 2 at the tragically early age of 49 by cardiac arrest, it left a huge hole in jazz. To salute the mercurial nature of Hargrove’s muse, here are a few highlights spotlighting his unquenchable eclecticism. For all his progressive tendencies, Hargrove had a rock-solid grounding in the jazz tradition. Tackling this classic Monk tune on an album full of standards, he brings to bear a clear, achingly lyrical tone that blends his fleet-fingered technical expertise with his outsized soul, shedding some new light on a ubiquitous composition in the process. In the 2000s, Hargrove cut three records in a row with his side project The RH Factor, giving plenty of time to his love of funk, soul, and hip hop as he mixed them all together with his bop roots. On one of the funkiest cuts from the first of those records, he spits out terse, visceral licks that dance around the syncopated groove with a delicious abandon. On this track from the third and final RH Factor record, Hargrove settles into some Quiet Storm territory, with a textured, atmospheric R&B ballad that pits his shimmering, autumn twilight trumpet licks against the luxurious vocals of Renee Neufville for a lambent, laid-back feel full of sweet soul vibes. Without superhuman bop chops to spare, Hargrove would never have gotten his career off the ground to begin with, and he certainly would never have conceived a Charlie Parker tribute album featuring just him, bass hero Christian McBride, and pianist Stephen Scott. But when these three start sparring with each other on a hard-charging version of this tune from Bird’s Savoy Sessions, you won’t miss a saxophone (not to mention a drum set) for a second. Rhythm was always a watchword of Hargrove’s, and that was never more apparent than when he tapped into some Cuban grooves on his Habana album. With the percussionists’ polyrhythms landing at odd angles all around him on this momentum-loaded track, the trumpeter transcends cultural barriers and leaps into a wider world of music that’s beyond borders.